More Colin on The Daily Show. His eyes smile too!. 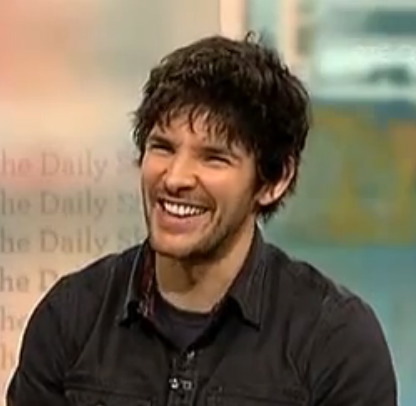 Wallpaper and background images in the Colin Morgan club tagged: colin morgan bbc merlin daily show. This Colin Morgan Screencap contains portrait, headshot, and closeup. There might also be flathead catfish, mudcat, goujon, shovelnose catfish, spoonbill catfish, and pylodictus olivaris.